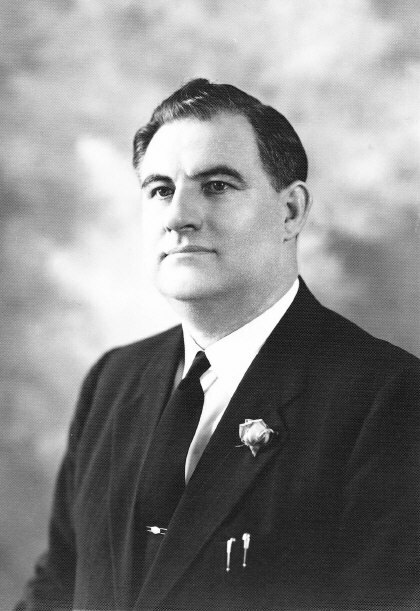 Pastor G. E. Lowman was born in Baltimore, Maryland, where he worked in the shipyards as a youth. After becoming a Christian at a local Methodist church, he began to speak to his co-workers on their lunch hour about his newfound faith. In his early twenties, he became a licensed master electrician and went into business, starting a successful electrical contracting company. He later acquired a spinoff grocery store chain in the Baltimore region from Sanitary Grocery Stores of Washington, D.C., which he renamed "Twin Food Stores". He also began speaking at local churches and used a bus to hold evangelistic rallies on Baltimore street corners. A familiar scene in the 1920s, this iconic Baltimore image appears in Jacques Kelly's album, Baltimore Neighborhoods in Focus, published by the Enoch Pratt Library in 1986. So popular was his preaching that he used his own fortune to purchase property at the corner of Federal and Wolfe Streets, near Johns Hopkins Hospital. 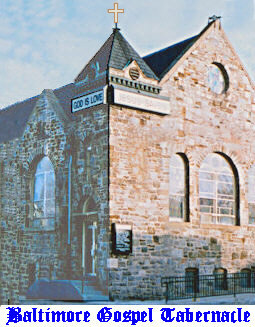 A small existing church structure on the site was greatly enlarged and dedicated as the 1,000-seat Baltimore Gospel Tabernacle on October 19, 1930. 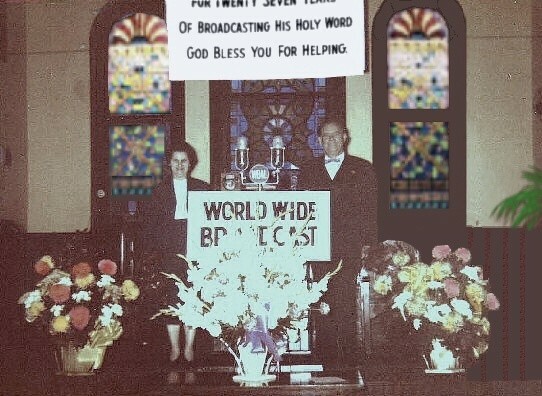 A weekly radio broadcast of services from the church began on radio station WCBM. During the 1930s, the church was packed for five services weekly: three on Sundays and nighttime services on Wednesdays and Friday. The services were eventually broadcast coast-to-coast and internationally from 50,000 watt flagship station WBAL in Baltimore at 11:00 am on Sunday mornings. In the late 1950s, the Sunday night service was also broadcast nationwide on the old Mutual Broadcasting System network, then having almost 500 stations. 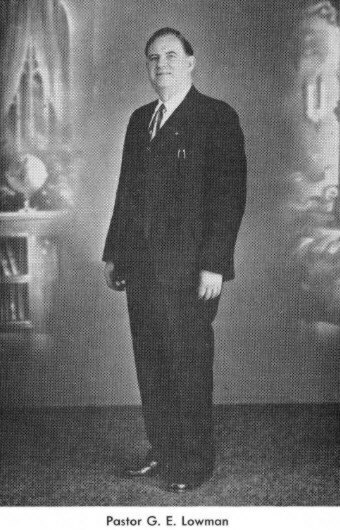 His ministry was unique, in that it was the only nationally-broadcast church service in the 1930s and 1940s. Other radio ministries of that era were mostly local only, or originated in studios or auditoriums. At the Tabernacle, a fully-equipped radio control room was located in one of the balconies, staffed by WBAL engineers who looped the program to WBAL by a dedicated line. A sign spanning the chancel read, "On Air sending the Gospel of Christ to the World", which the engineer would illuminate as the cue for the live broadcast to begin. Also unusual for its time, the Baltimore Gospel Tabernacle and its radio ministry were nondenominational. Pastor Lowman wrote, "Many claims are made by certain religions. But no one denomination can rightfully claim that it is the only one. The true church of our Lord and Master is made up of born again people. It is not what we belong to on this earth; it is what we are in Christ". Long accustomed to delivering powerful, dynamic sermons extemporaneously, Pastor Lowman had to read his sermons from a prepared text for the first time with the onset of World War II. International broadcasting restrictions imposed by the government in 1942 for the duration of the war made it necessary for his sermon manuscripts to be submitted and approved in advance by censors. 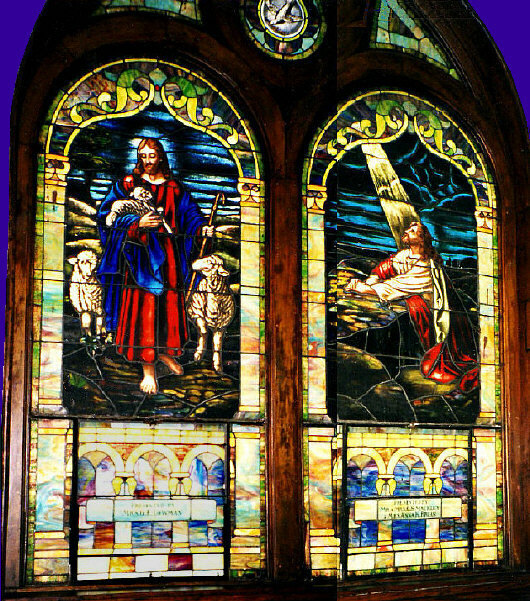 The war also saw the beginning of a Tabernacle custom that would continue long after the cessation of hostilities: the hosting of visiting groups of sailors from the ships of many nations calling at the busy port of Baltimore, with their country's flags displayed at the Sunday worship services, followed by dinner provided by the church. Grateful parents and spouses would regularly send letters of appreciation for this hospitality shown to their far-off loved ones. Indeed, by the 1940s, thousands of letters arrived each week from listeners around the world, with the post office delivering sacks of mail addressed simply, "Pastor G. E. Lowman, Baltimore, Md. USA". He also authored several books in the series, Prophecies for the Times, one of which is in the John F. Kennedy Presidential Library in Boston. The broadcasts were also famous for their music, starting each week with the congregation singing the theme song, "O That Will Be Glory", accompanied by the beautiful 40-rank Möeller pipe organ of 2,440 pipes. Daughters Ruth, Edna, and Doris also sang on each broadcast as the Lowman Sisters Trio, bringing each program to a close by singing "Search Me O God". In honor of his ministry, Pastor Lowman was presented with this Key to the City of Baltimore, Maryland, by then-Mayor Theodore R. McKeldin on Defenders' Day, September 14, 1943, inscribed, "To my good friend, Rev. G.E. Lowman". He was later awarded a Doctor of Divinity degree. The weekly radio broadcast originated from the Baltimore Gospel Tabernacle until December, 1959, when the program was moved to a studio in St. Petersburg, Florida. 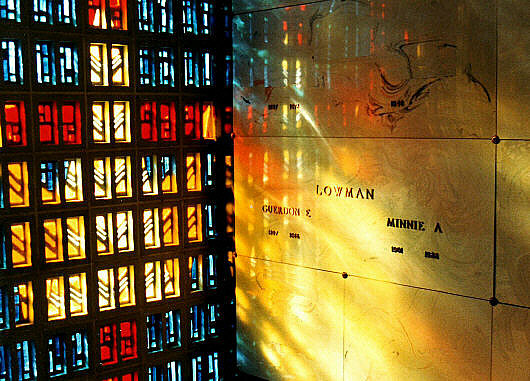 G. E. Lowman went home to be with the Lord he loved and preached on January 18, 1965, ending his pioneering 35-year radio ministry. He is interred at Dulaney Valley Memorial Gardens in Timonium, Maryland. 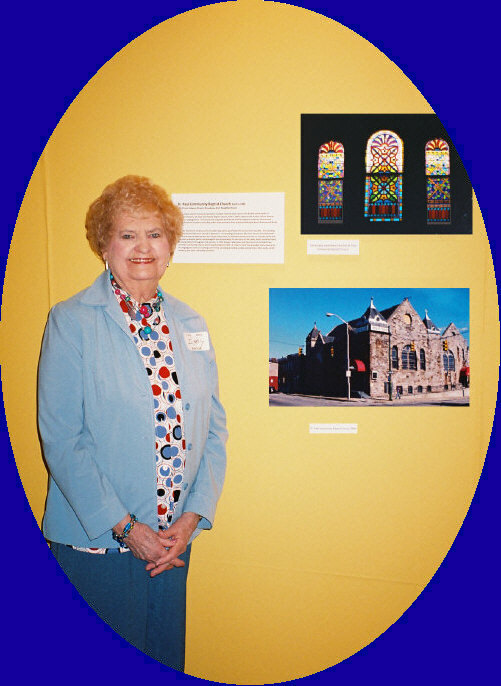 In 2009, the former Baltimore Gospel Tabernacle was designated an historic landmark by the City of Baltimore. 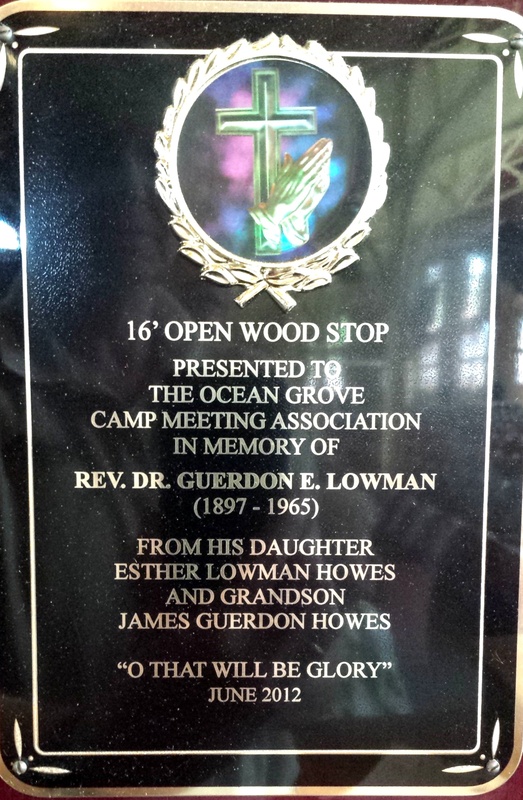 On July 1, 2012, a new 16 ft. Open Wood pipe rank was dedicated in memory of Pastor Lowman at the massive organ of the 6,000-seat Ocean Grove, New Jersey, Auditorium of the United Methodist Church, making it the 17th largest organ in the world. The organist played O That Will Be Glory at the conclusion of the evening service, where Anne Graham Lotz (daughter of famed evangelist Rev. Billy Graham) was guest speaker.